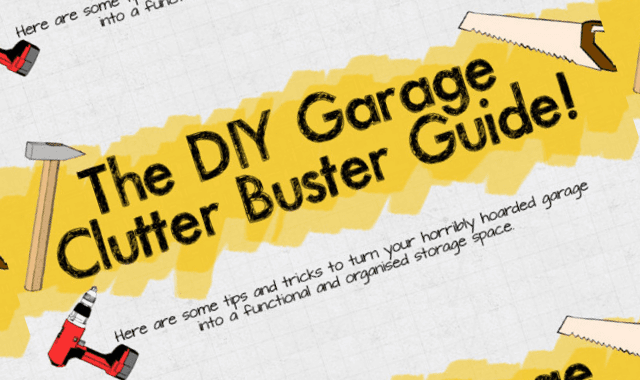 The DIY Garage Clutter Buster Guide #Infographic ~ Visualistan '+g+"
The time to organize the garage is now, to make room for the car and save valuable morning time that would otherwise be spent chipping, scraping, and shoveling. Good thing you’ve got this DIY guide to making plenty of room, courtesy of Powertool World. This is one weekend project you’ll be thankful you did for years to come!